Plenty of digital-only releases this week. 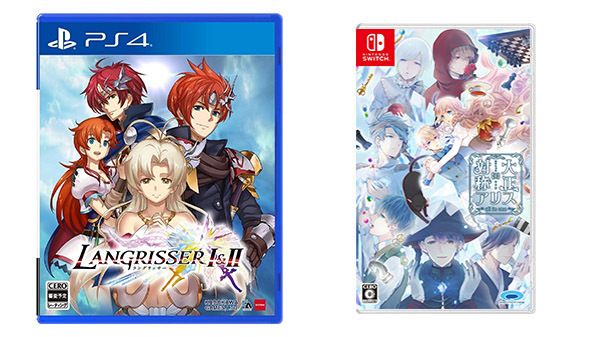 Langrisser I & II and Taishou x Alice: All In One highlight this week’s Japanese game releases. A remake of the first two Langrisser games, which were originally released for Mega Drive in 1991 and 1994, Langrisser I & II features new visuals and user interface, voice acting, new scenarios, and a new heroine. Langrisser I also adds multiple endings via a branching story, which was first introduced to the series in Langrisser II.. A demo is available now.